As a species, we are somewhat nutritionally compromised. We are not getting the nutrition we need form the foods we are eating, at least most of the time. Our soil has become diminished of vital nutrients, and it’s important for us to take care and pack in the nutrients when we can . One great way is to try to artfully sneak superfoods into recipes. Let’s look at spirulina, it honestly tastes pretty strong and unpleasant. It has to be carefully combined and only in certain applications. 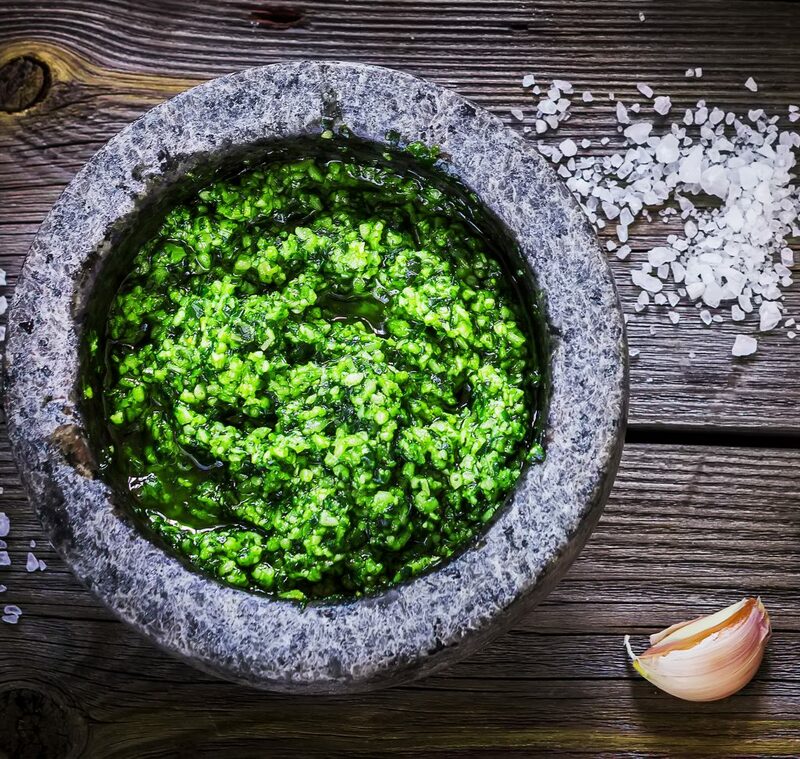 I like to add it to a robust Pesto that will ultimately mask the flavor and bring incredible high vibe nutrition to this simple dish.